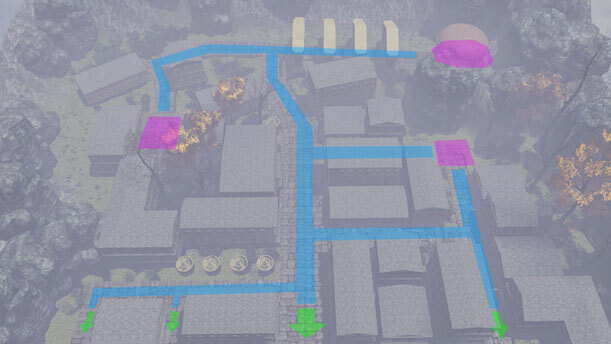 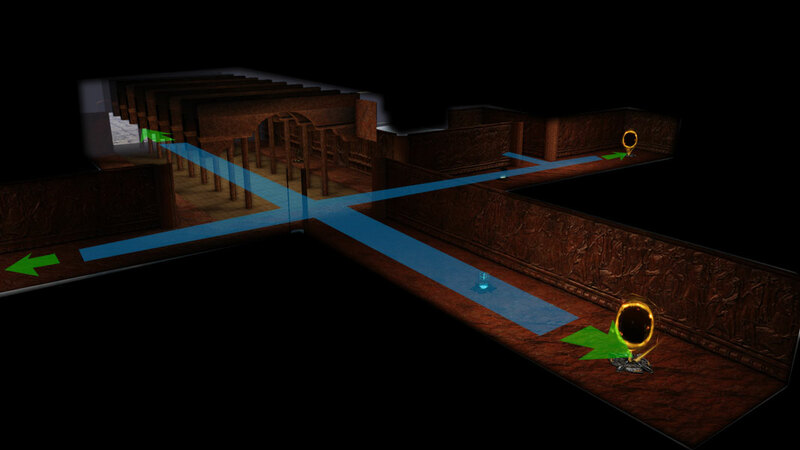 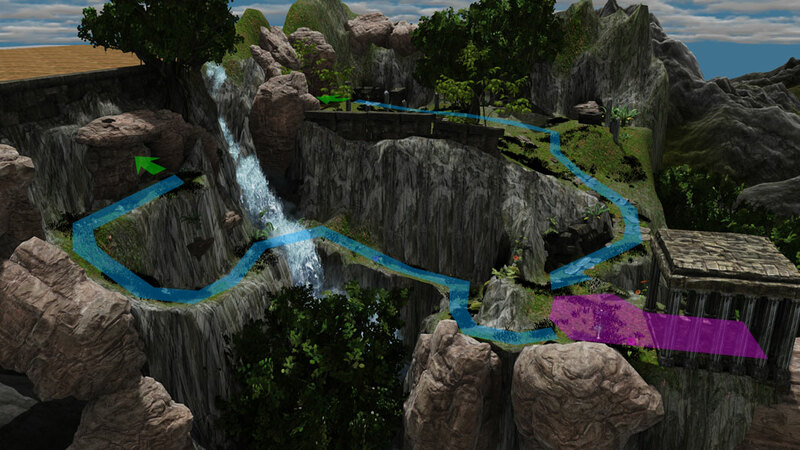 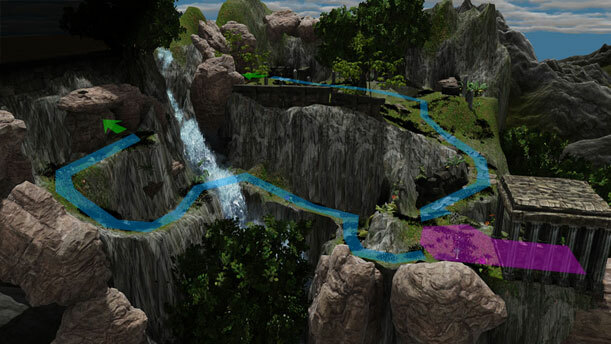 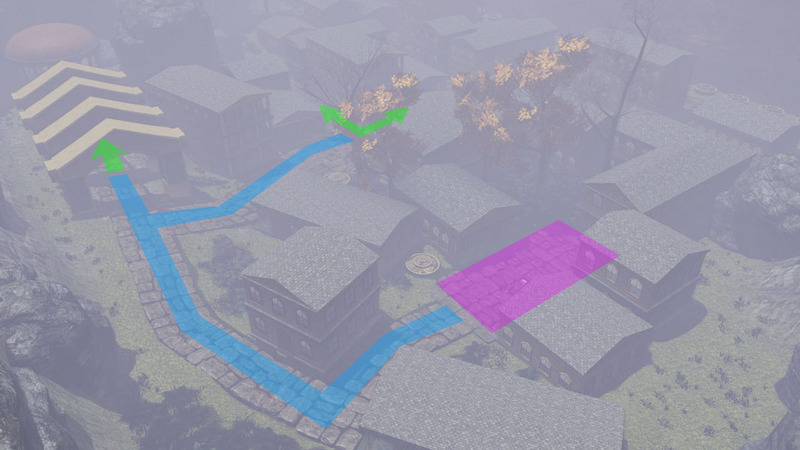 The following are examples of levels created in UDK. 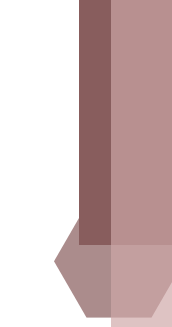 The light blue markings signify paths, green are exits, and pink represents important areas. 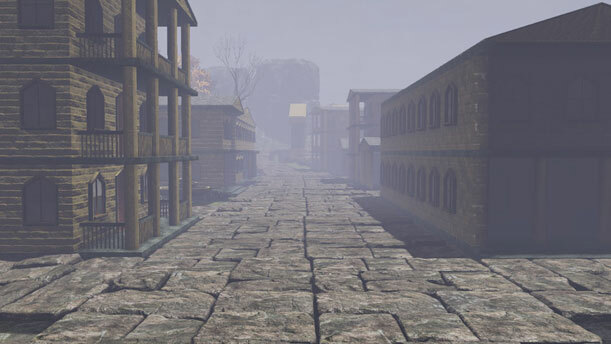 This is what the town looks like from the street level.